Thirty six hours since I left my amazing weekend at Oceanstone and I think I am still in ultra Zen mode. Actually I know that I am. Honestly, I am going to run you through the awesomeness that was this weekend, but in all the places we have EVER travelled, we can not recall EVER having been as relaxed as we were this weekend. I have always loved Oceanstone, from the first time I photographed a wedding there, and through the many that followed. I also held my first charity event there, my first photography workshop, and it’s where we will be holding this year’s Awesome Life Retreat. Alex and I are going to be apart for over a month and I will be with the kiddos all day everyday. 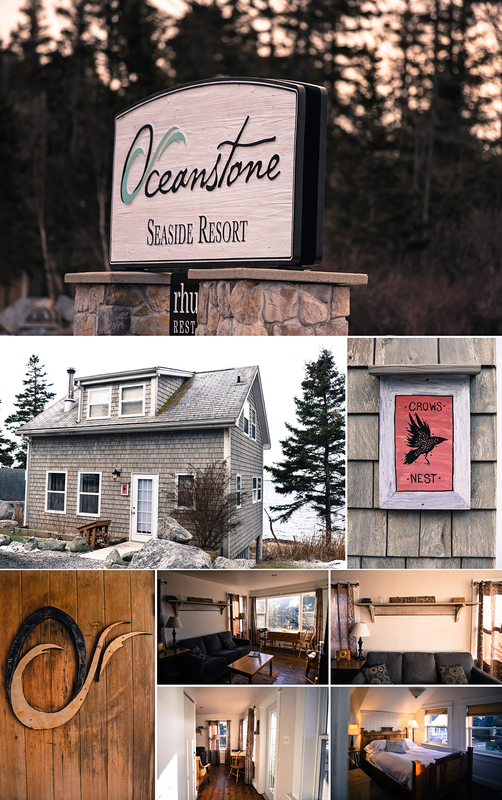 We wanted to rock a winter Staycation locally and to me there was no better choice than Oceanstone Seaside Resort. The team on site really makes you able to relax and unwind by taking care of everything. We knew we wanted to enjoy some meals at Rhubarb, but we also wanted to stay in our sweats all day and eat in our cottage. Chef Steve stocked our fridge with “Chili and some fixings” and it was a complete feast! To read the full review by HEATHER CROSBY GIONET, click here!